It is important to inspect your home’s exterior by a professional once a year. Peace of Mind - being worry-free from unexpected maintenance expenses. 15% Repair Discount Fee - a preferred customer receives an exclusive membership 15% discount on all repairs and new projects. Priority Guaranteed Appointments - we will be there to serve you as a preferred customer. Partnership - we work together with you to deliver affordability, comfort, security, and the protection you want for your home. 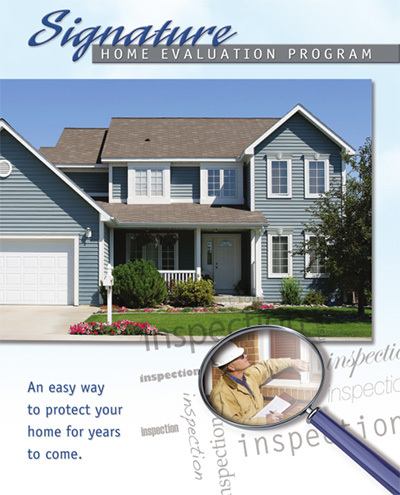 Schedule Your Signature Home Evaluation Today! Proudly serving the Iowa and Nebraska areas for over 20 years.